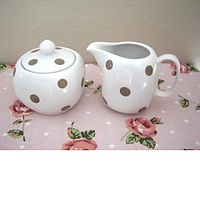 In this very stylish ceramic set there is a sugar bowl and milk jug. 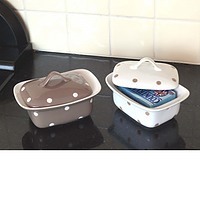 This range would really suit any cath Kidston lover!!! 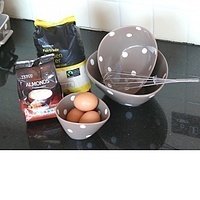 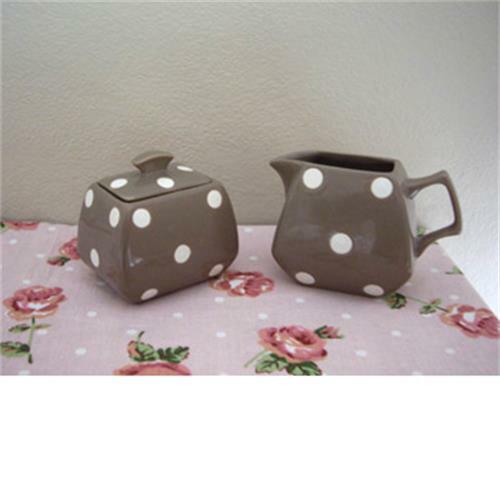 The white polka dots on a brown background would compliment any shabby chic style kitchen or dining room. 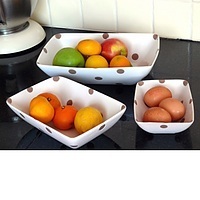 There are many other polka dot items that match this cute set! 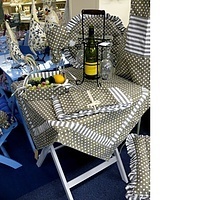 This set is so so cute and very reasonablly priced! !